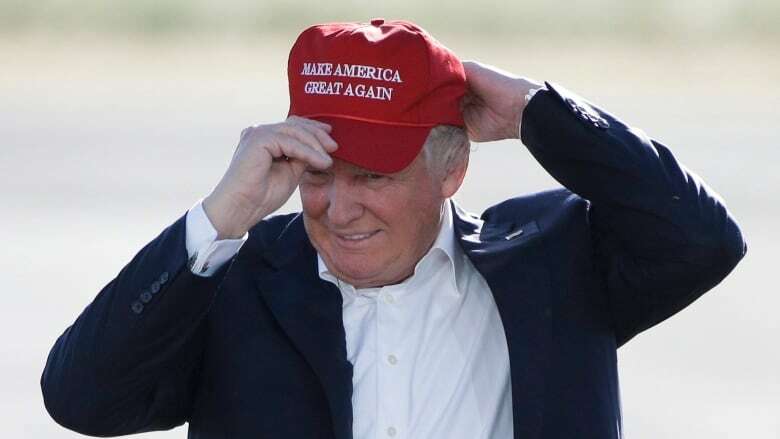 A judge who wore a Donald Trump hat in court faces suspension or even removal from office this month when the case is heard at a misconduct hearing in Toronto. Justice Bernd Zabel wore a "Make America Great Again" hat in Hamilton court on Nov. 9, the day after Trump won the U.S. presidential election. He also made comments about "his views and those of his judicial colleagues," the hearing notice says. In Ontario, judges are supposed to be apolitical in the court room. The Ontario Court of Justice stopped assigning Zabel cases on Dec. 21. Zabel apologized about a week after the incident, saying he was trying to use humour to "mark a moment in history." Now a judge and community member will form a two-person complaint subcommittee to review the case. A review panel — which included two judges, a lawyer and a community member — ordered the hearing. The hearing panel could dismiss the complaint, or warn, reprimand, or suspend Zabel with or without pay for up to 30 days. It could even recommend that the Attorney General remove him from office. The panel could also order that Zabel take "specific measures such as receiving education or treatment, as a condition of continuing to sit as a judge," the notice says. The case will be heard Aug. 23 at St. Andrew's Club and Conference Centre in Toronto. Zabel wasn't the only person in Hamilton to draw negative attention with a Trump hat. David Serwatuk, a member of Hamilton's committee of adjustment, had a Trump hat on the table during a Nov. 17 meeting. The action drew criticism from Mayor Fred Eisenberger, among others, who said it was an inappropriate setting for "any kind of political posturing." Serwatuk later apologized.